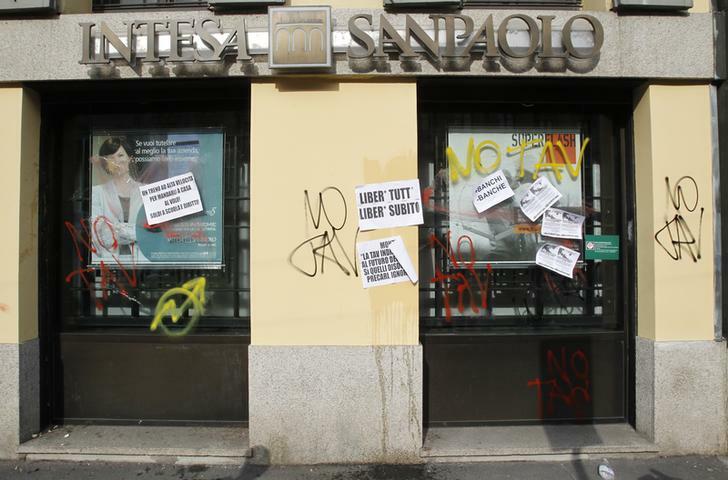 Italian banks need to shed their bad debts to start lending again. The classic solution – selling poor credits to a national “bad bank” – would require Italian taxpayers to cough up at a time when state debt is 133 percent of GDP. Matteo Renzi, the likely prime minister, should try something different. Italy has managed to create a non-performing loan headache without a Spanish- or Italian-style property boom. NPLs rose 25 percent to 156 billion euros in 2013, according to the Bank of Italy. With banks more risk averse, Italian corporate lending has contracted every quarter since early 2012. Renzi could follow Madrid and Dublin, establishing a part-state-funded bad bank buying the worst assets at steep discounts. Yet the previous government worried that such an outlay would risk its balance sheet. And arguably a bad bank is excessive: Italy’s bad loans aren’t the same complex property assets like Ireland’s. The private sector should be able to bear the costs. The big, healthier Italian lenders might be able to get away with setting up “internal” bad banks. That would keep their loans on balance sheet but in a discrete silo. But the cleanest solution is to sell. This has been hard in the past: Italy’s tortuous legal system means that would-be investors have offered low prices, and banks lacked capital to take the hit. Yet NPL investors are lowering their return targets, according to one investor, partly as Italy’s own perceived creditworthiness has improved. Meanwhile, despite weak foundation shareholders, banks are starting to raise capital, with 5.8 billion euros of rights issues due this year. The past government also helped banks by giving tax breaks for recognising losses and restructuring the Bank of Italy’s reserves, which boosted profits for the banks who own it. Renzi should be ruthless. Italy’s weak loan growth and low interest rates mean it has too many unprofitable banks, and consolidation is long overdue. The nascent euro zone single resolution mechanism means politicians have the cover to wind down banks not worth saving, if they want to. Renzi should seize the opportunity for a bit of creative destruction. Italian banks’ non-performing loans rose by 25 percent to 156 billion euros in the year to December 2013, according to Bank of Italy data. Banks may need a further 19 billion euros of capital to absorb potential NPL losses, according to Societe Generale. UniCredit and Intesa Sanpaolo are in talks with KKR over a bad bank to manage the group’s restructured loans, UniCredit Chief Executive Federico Ghizzoni said on Feb. 11.